I've got a thing about kitschy, Old Florida towns. I love the history and the quirky character of them. 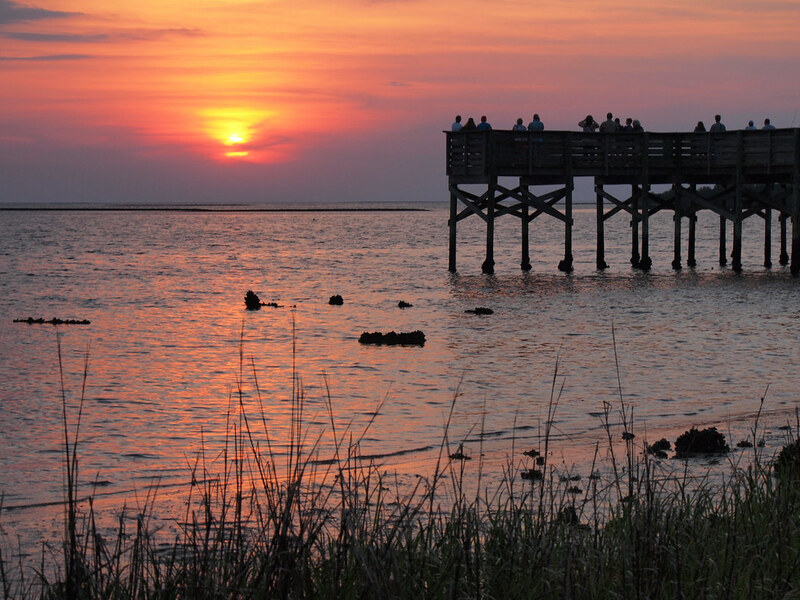 In the past, Apalachicola on the Gulf Coast used to be my favorite. But I think I have a new favorite now after visiting the coastal town of Crystal River, Florida. Located about an hour and a half north of Tampa, Crystal River is exactly the sort of funky, slightly touristy, laid-back Florida town that I love. There's great seafood, nearby beaches, and more than enough to do to keep you busy for a short visit. Many people skip this part of Florida, but here are five reasons why you shouldn't skip Crystal River and the surrounding area. Crystal River is known for being one of just a few places in Florida that native manatees flock to each year during the cooler months (because yes, Florida does have its own version of winter!). The town and its surrounding waters are dotted with natural springs that remain a balmy 72 degrees year-round, drawing in the manatees that can't survive in colder water. 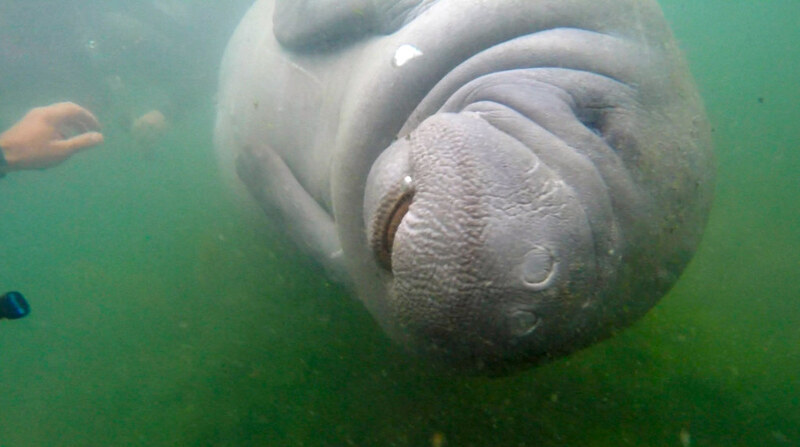 Hundreds of these gentle giants stuff themselves into springs and rivers around Crystal River each winter (and a handful are “resident” Crystal River manatees who live in the area year-round), making manatee sightseeing tours really popular. 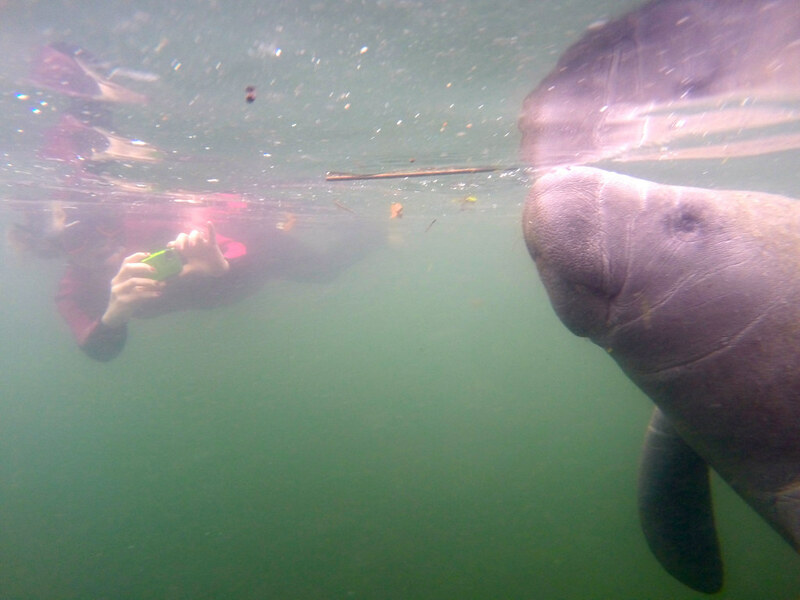 I went swimming with manatees on my visit to Crystal River, and it was nothing short of incredible! The manatees can be friendly and playful, and swimming with them is a unique experience you won't really find anywhere else in the world. Want to get up close with these gentle giants in the water, too? Book your own manatee-swimming tour here. 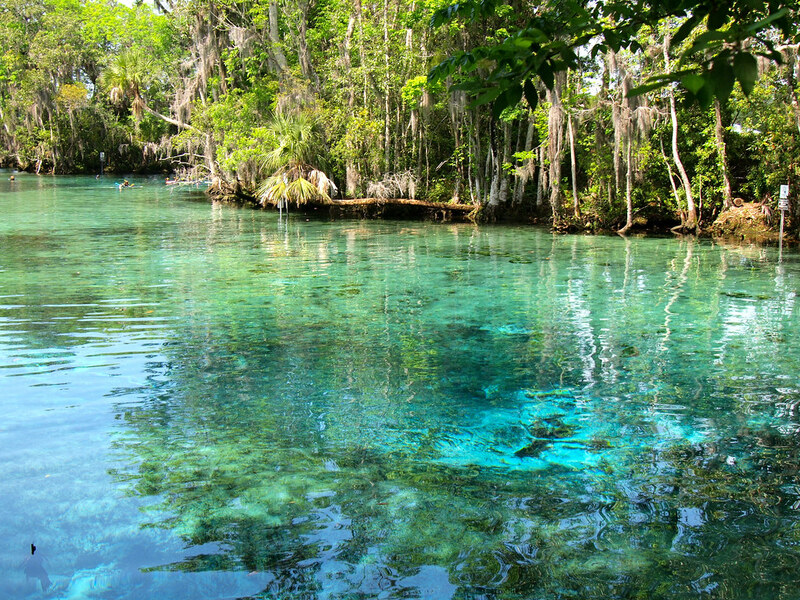 One of the most famous places that the manatees gather in Crystal River is at Three Sisters Springs, a collection of (you guessed it) three natural springs that feed the Crystal River. You can visit the boardwalk and swim in the springs year-round. In order to visit the Three Sisters boardwalk, you can book a visit to Three Sisters Springs through River Ventures in Crystal River. They'll bus you out to the boardwalk, and then you'll have an hour to wander around and talk to the volunteers who watch over the springs. No manatees, but still beautiful! 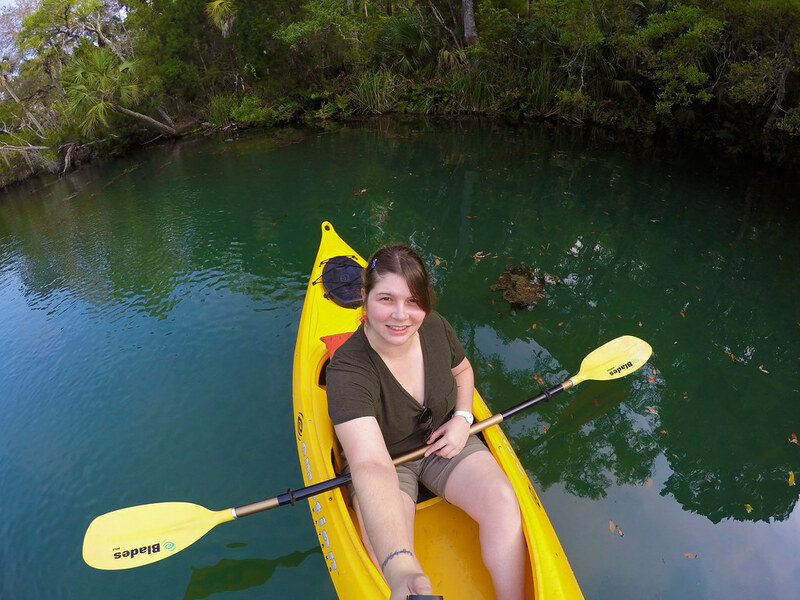 Another way to visit the springs is by boat or paddle craft (like a kayak or paddleboard), though these are not allowed into the springs during manatee season, which generally runs from November 15 through March 31. Lastly, you can swim into the springs. Swimming in the springs (like you'll do on a manatee tour) is amazing because the water is so clear. Just note, though, that during manatee season there are strict rules about where you can and can't go. There will be buoys/signage denoting where the official “manatee sanctuaries” are, so please respect them. 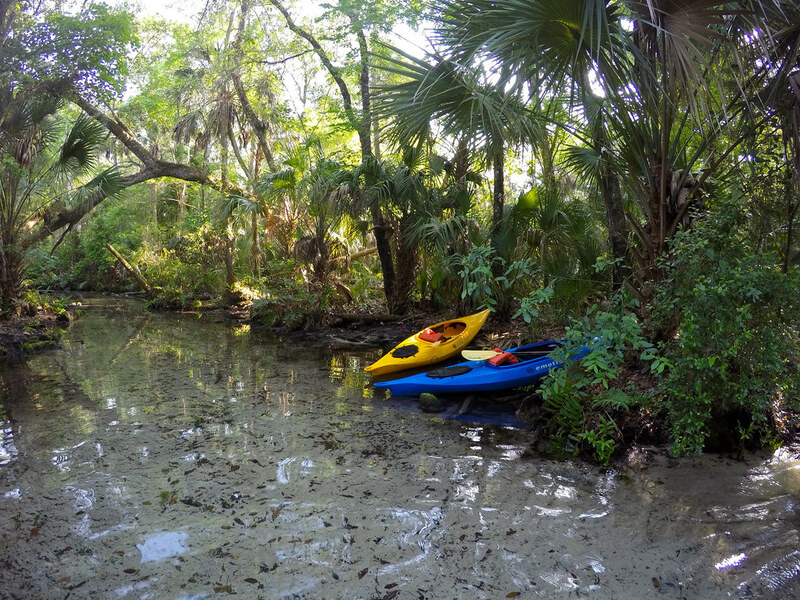 One of my favorite non-manatee things I did in the Crystal River area was kayaking on the beautiful Chassahowitzka River. The 5-mile-long river is located in southwestern Citrus County, just a 20-minute drive from Crystal River. Like many rivers in this part of Florida, “The Chazz” is spring-fed, and is bursting will all sorts of life. The Chazz is part of the larger Chassahowitzka National Wildlife Refuge, and should be on your list if you're looking for a chilled-out morning or afternoon. Crystal River itself isn't directly on the coast, but Fort Island Gulf Beach is a short 15-minute drive away (so it's basically a Crystal River beach). 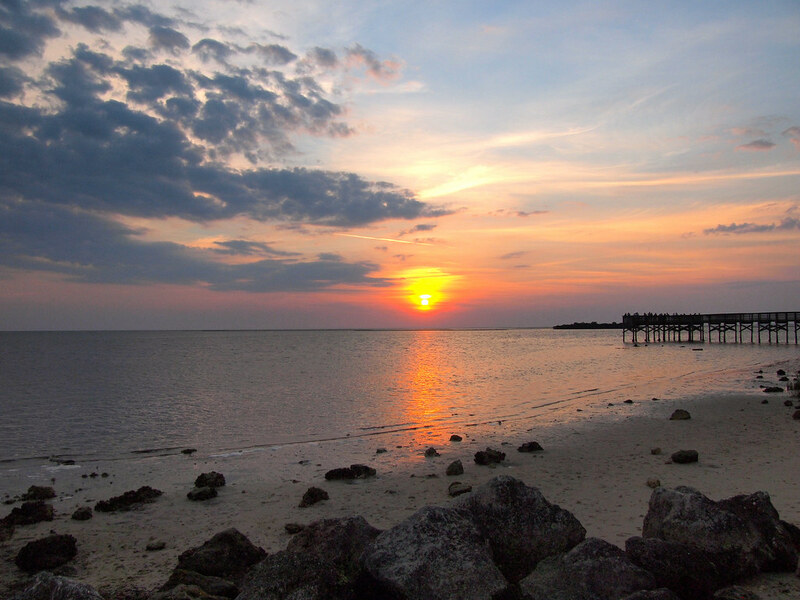 This beach on the Gulf of Mexico is perfect for an afternoon picnic or beachy sunset. I got lucky with a brilliant pink sunset when I visited. Lastly, you should make a stop at Homosassa Springs Wildlife State Park, located less than 15 minutes from Crystal River. Originally opened as a kind of zoo in the early 1900s, today the park is run by the state of Florida. When the state took over the park a few decades ago, it slowly started whittling down the animals living there to ones that you'll find in Florida, keeping humane captivity in mind. Today, there are resident manatees, alligators, bald eagles, and even an orphaned Florida panther. One odd animal you'll still find here is Lu the hippo. 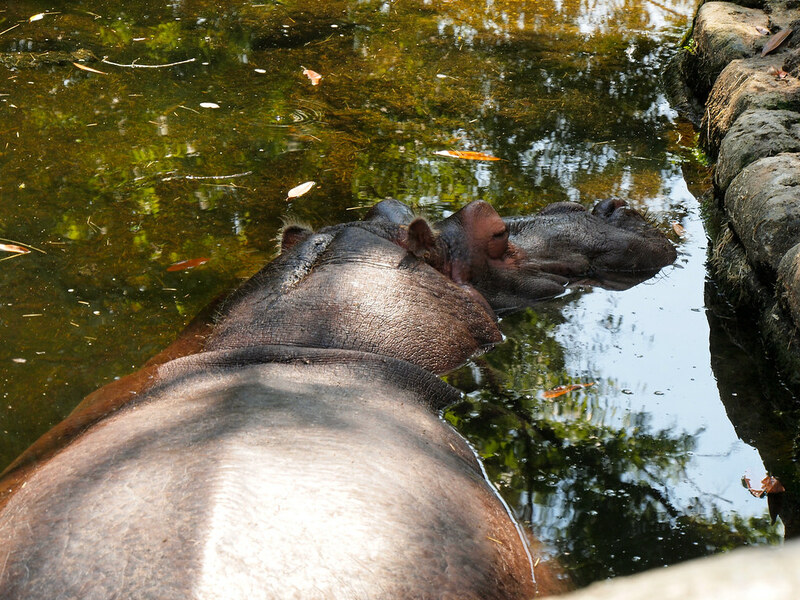 Hippos are certainly not indigenous to Florida, but when the state took over the park the locals petitioned for Lu the hippo to be able to stay since he'd been a staple at the park for so long. The state ended up granting Lu honorary Florida citizenship so he could continue living at Homosassa Springs. Lu the Hippo, an official Florida resident! 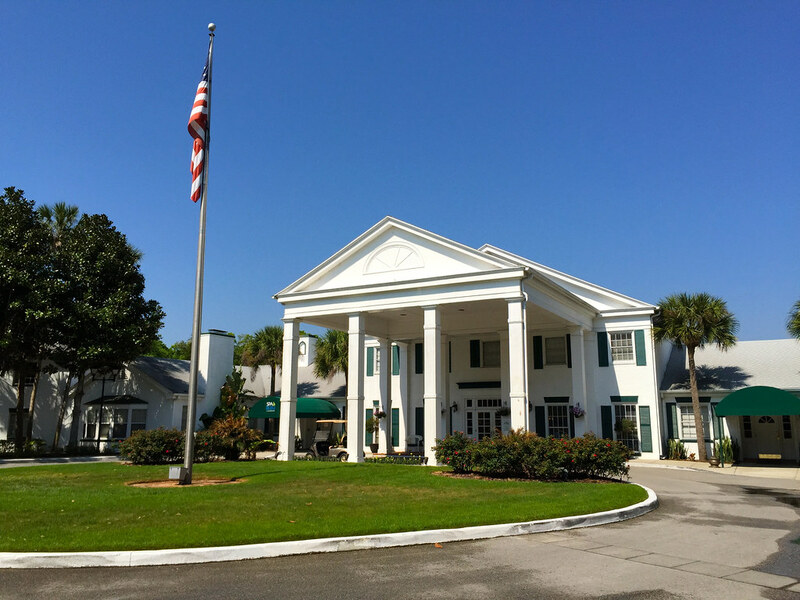 For my stay in Crystal River, I stayed at The Plantation on Crystal River, a lovely historic hotel that resembles (you guessed it) an old antebellum plantation. The rooms are large and comfortable, and the pool is the perfect spot to relax after a day of sightseeing. The Plantation also has an on-site restaurant and offers its own dive shop and manatee tours, meaning you don't have to go far at all if you want to book a tour or rent a boat for the day. Check out TripAdvisor reviews here | Book your own room at The Plantation here! Or, compare prices at other Crystal River hotels here. 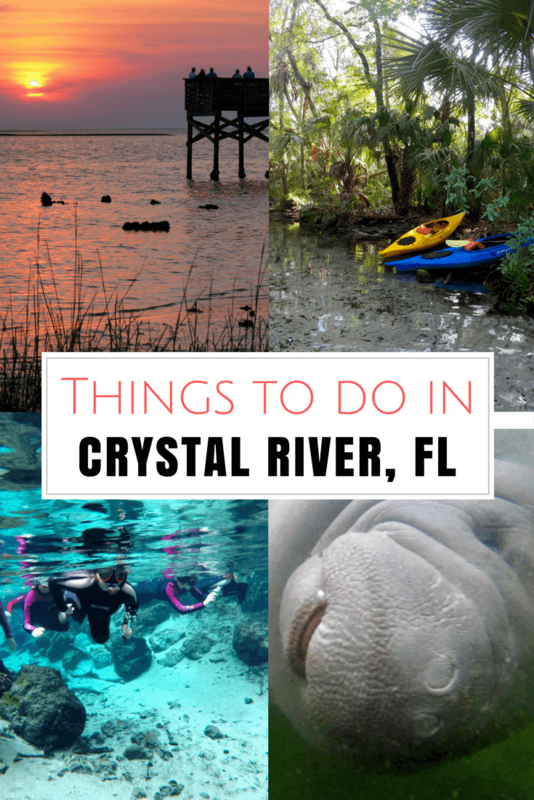 If you're wondering when the best time to visit Crystal River is… I personally think it's between November and March, when you'll find cooler temperatures (great for outdoor activities) and have a better chance of seeing manatees. Want to swim with manatees? Then try to visit from late December to late February, generally the coldest months in Florida (meaning that's when manatees are most likely to be seeking out the warmth of the springs). Looking for packing suggestions for Crystal River? Head over to my Amazon shop to see all my favorite travel gear! Pick up a Florida travel guide before you go. Don't leave home without a good travel insurance plan – because you never know what might happen! I recommend World Nomads for affordable basic travel insurance. Who's ready to book a trip to Crystal River? Many thanks to Visit Citrus County and Visit Florida for helping with my trip! As always, all opinions are my own. You can easily spend two or three days there and not get bored! The little “downtown” area is really cute, too, with some nice shops and a couple of restaurants. Swimming with them was SO cool. They’re rather curious and friendly (especially the younger ones), and it was amazing to see an animal not at all afraid of humans! A Dugong is not the same as a Manatee. Tails, nails, nostrils etc. are totally different. Wow. I have always wanted to go to FL for the beaches, maybe Key West or the night life and Disney World. I see now that there is much more that FL has to offer. I did not think there would be kayaking in crystal clear water, and alligators. I think that’s a whole different view of the state than what I pictured. Now I want to go. Yes, Florida is MUCH more than just Disney and Miami! The area up north (in what’s called the Panhandle) on the Gulf Coast is full of neat little fishing towns and great beaches! Looks beautiful! I need to go through there on my way to TBEX in the fall. Okay, this is super embarrassing but I remember my dad taking me and my sister here when I was little and my family was living in Florida, and *screaming* because I was so terrified of touching a manatee. My dad was like “Kelly, they’re literally the most gentle animals you’ll ever see in the water” but I was SO terrified I wouldn’t even stay in the water hahaha. Maybe now’s the time to go back and redeem myself! Awwww! There were two little girls on our tour, too. Only one got in the water, but she freaked out when she saw them, too. I think it’s because they’re so big! But yes… gentle giants. You should definitely give it another go! The town looks beautiful – Springs Boardwalk is just my kind of activity! I wasn’t really all that bothered about going to the Boardwalk at first, but I was really glad I went – it was SO pretty! Amanda- did you get a chance to meet the people and tour the local bars, stores, or parks? I am wanting to move my small family to FL and am thinking Crystal River! I spent a lot of time with a local woman from the tourism board, which is how I got to see so much (other than just the manatees). It’s a really cool little town – I’m already planning to go back next year! Oh wow… this place wasn’t even on my radar until just now. Amazing photos!! Happy to have put it on your radar! Hi everyone, my names olivia and ive lived in crystal River my entire 16 years and i would just like to say its an amazing town and i would suggest checking out Old Homosassa -a sister town to crystal river. its really historic and pretty. Also I go to a Charter High School called the Academy Of Environmental Science thats right on the Salt River. If you’ve ever been to Fort Island Beach, its the funky looking buildings on your way down Fort Island Trail. So i also recommend the salt river, there is alot of wildlife including- Dolphins, Stingrays, and lots and lots of birds and fish that are native to Florida. Thanks for the suggestions, Olivia! I think it’s awesome that you’re so proud of where you live and that you’re encouraging others to visit! I have lived in Beverly Hills, FL for the past 12 years (a transplanted New Englander) I love Fort Island beach, Homosassa Springs State Park, and Crystal River in general. I like to go with Captain Mike’s River Cruises on the Withlacoochie River. It’s definitely a special part of Florida! I miss being able to drive over to Crystal River and go snorkeling or diving for the weekend. I have been several times and somehow missed there is a hippo in one of the springs. Great post. Lovely pictures and rich information. I loved it. We lived in Crystal River from 1987 until 2003. We loved living there, except for the Florida heat! Thanks for sharing about your time there 🙂 BTW, “Lu” was originally named Lucifer. I think the townsfolk didn’t care for the connotation his name had, so they shortened it. LOL He’s been there since our kids were little. They’re now 30 and 26! I don’t think I could ever live anywhere in Florida because of the summer heat, but Crystal River is definitely somewhere I’ll go back to! Haha I totally understand that – wouldn’t want people sticking around for ages! I lived on Crystal River over twenty years and just wanted to and in another great attraction. Scallop season! Its June 27th thru September. Snorkel in the gulf gathering up these yummy little creatures to take home and eat! Yes I’ve heard about that, too! Sounds delicious! I feel lucky to live in this town. My 60 year old home is in the “historic” part of the city. There is so much to do and see here. There is also sport fishing and golfing. Only a couple hours from the theme parks in Orlando and Tampa this is a great place to stay while in this part of the state. That’s always the trade-off, Kristina. Hopefully it won’t ever get *too* popular. Monkey Island on the Homosassa River is always amusing. The ride down Ozello Trail is beautiful, too. I heard about Monkey Island but didn’t get to go there (can you go there?) – maybe next time! Good post, I live in Crystal River area, did you mention there are 7 rivers that flow thru county plenty of good fishing/boaring. You’re part on the Chaz was good, but it’s 25-30 min drive south of crystal river. The crystal clear water makes it worth the drive. I didn’t do any fishing (not really my thing), but yes, plenty of good fishing to be had, I’m told! Yes! I went and had lunch in Dunnellon one afternoon – next time I’ll have to make time to check out Rainbow Springs! Loved your blog post, I even shared it on Facebook! We live about 5 minutes from CR and my kids go to school there. I thought your description was spot on and awesome pics as well. I’m a Florida native but lived in Connecticut for 24 years. We are so glad to be back in Florida! Aww thanks so much, Kelly! I’m glad you feel like I captured CR well! I loved going to Crystal River. Wished I had known about all the neat things to do. Some we did do but my best was camping at Rock Crusher Canyon. Was the greatest campground my husband and I had been to. Just thought I would leave this if other campers read your article. I am a decedent of one of the original Citrus County families (The county in which Crystal River is located). It is so nice to see so many people enjoying Crystal River. Crystal River has also just joined the Main Street program to even further restore and beautify the downtown area and perhaps it will be different when you return. However, I also want to add that Floral City and Inverness are great towns to visit while here as well. Both cities have great historic charm. 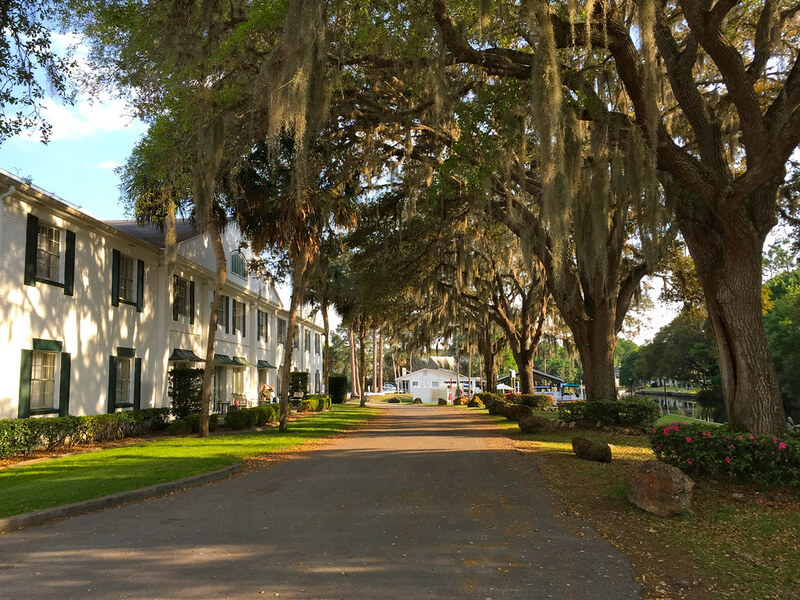 Floral City has a beautiful Avenue of Oaks that is a must see and was the original county seat…it was also a more popular destination at one time than Miami because of their rich phosphate mines and steamboat landing. In fact, the very 1st telegraph in the state was installed in Floral City and the 2nd oldest standing home in the state is located there beside the heritage museum and is open for tours. Inverness is the county seat and has a beautiful, lakeside downtown square which has a fully restored 1800s courthouse that has been converted to a museum right in the middle as well as the Valerie Theatre which is an old theatre that was recently restored. The old courthouse can be seen in Elvis Presley ‘ s movie, Follow that Dream …as this is where he filmed the movie. We are an area of rich heritage and beautiful waterways and I’m so lucky to call it home. Thanks so much for those great tips, Susan! I hope to go back to Crystal River again next year – I’ll keep some of these in mind! Hows the sinkhole situation in ur area? Crystal River is undergoing somewhat of a Renaissance. The city commision is spending a great deal of money to bring in tourists. The staple of the small city’s economy used to be the Florida Power (now Duke Energy) Nuclear Plant (which can be seen from Fort Island Beach). But since the reactor sustained damage from a refit, it has been shut down, and Duke moved all of our Nuke workers elsewhere. The city is smartly renovating the area to be much more tourist friendly. Other VERY eco friendly attractions in our area is the Rainbow River just a few minutes away in Dunnellon and Historic Inverness (30 minutes down Highway 44). I am very glad you enjoyed your stay! Very smart of them to shift over to tourism – you have so many unique natural attractions in Crystal River that it makes sense to start promoting them more to visitors! Amanda, what a lovely blog post about Crystal River! My wife and I own two vacation rental homes there and I am going to send a link to your post to everyone who books our homes in the future. If you would like to stay in one of our homes on your next trip to Crystal River, let me know and we will give you a substantial discount on the rental rate. Aww thanks so much for the offer, Chuck! I definitely hope to make a return visit! I am a 7th generation Floridian, my descendants came to Key West via the Bahamas. I have visited and loved many parts of many states in the beautiful U.S. and have also traveled extensively in Florida. I am still shocked after 56 years that I find so many totally cool new places to go. I did my certification dive in Crystal River 35 years ago and have been dying to go back since. So many places to see in Florida, so little time. I so love it here, couldn’t live anywhere else. I was born in Panama City, and really need to get back to the Panhandle, but also love Brevard County, where I’ve spent the last 55 years. We have recently gotten into bicycling and kayaking and are discovering an entirely new world, and millions of new places to go. Yes, it’s hot in the summer; we are acclimated but still have to go inside sometimes. But it’s 2 days before Thanksgiving; we just got our first “cold snap” – it was 49 degrees Monday morning, but we will hit 80 degrees on Turkey Day; 60s at night. Wow, am I the most blessed person on Earth or what? Love my state and can’t wait to explore the rest that I haven’t seen yet. And LOL, forgot to say, we will be visiting Crystal River the week after Christmas. Thank you so much for your post! I hope you have a great time! It’s such a cool little place. I’ll bet you meet lots of interesting travelers! Um, YES PLEASE. I’ve always wanted to do this, and despite going to Florida 1-4 times a year my entire life, I still have yet to do it! You definitely need to get yourself to Crystal River!! It’s such a cool little corner of Florida. My husband and I are going to the plantation at crystal river for our anniversary in April. We wanted to go someplace different and your information gave us lots of great ideas. I think it’s going to be a great vacation. Thank you! That’s great to hear, Kathie! I think you’ll have a great vacation, too! My extended family are visiting Sugarmill Woods from the UK in late July for, a fortnight (staying at a friends villa), so not quite Crystal River but close enough. Having been to Orlando for the last two years running we’re looking to see a bit more of the ‘real’ Florida and have much more of a relaxing time. I’ve been trawling the internet for articles on things to do other than the well advertised swimming with manatees. etc. My familly are my wife and I, our two boys, 8 &13 and my daughter 16, plus my in-laws. I wanted to think you for your articles which have openeed up a whole new realm to look at, I especially like the sound of the Ozello trail. Any other idea’s as to what’s worth doing & seeing would be appreciated from the Tampa Aquarium to the shopping malls, to best beaches. Also recommended places to eat ! Thanks in advance. In this part of Florida, you’ll definitely experience the “real” Florida beyond Disney! These are all of my best tips for this regions, I’m afraid, but I’m glad the post at least gave you some ideas. I’m trying to convince my wife to go kayaking with me at Crystal River but she is afraid of alligators. I know gators are in Florida but do they have many in the rivers at Crystal River? I won’t lie: there are sometimes gators! I didn’t personally see any (even though my kayaking guide tried to find one), but they can definitely be around. But there were also people jumping into the river and stuff, so they must not be too big of an issue. As long as you stay in your kayak, you should be fine! 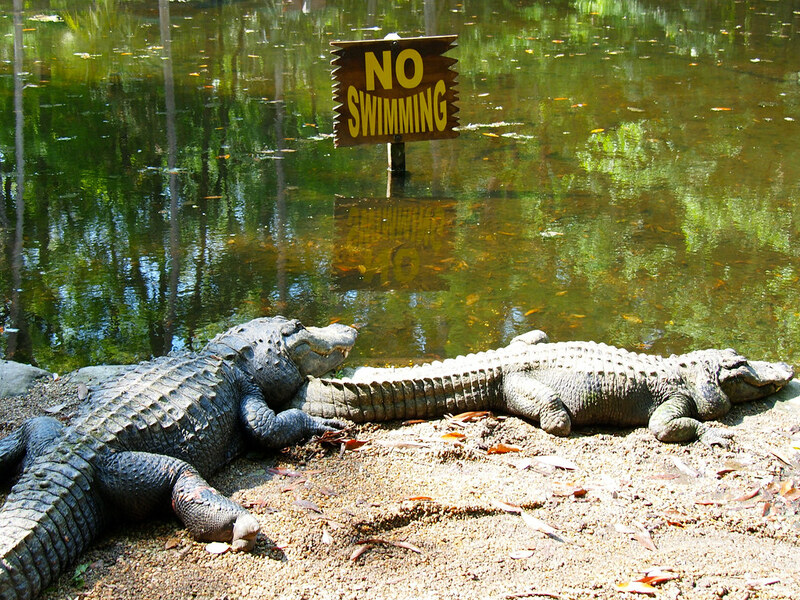 There are a few small alligators in the river and canals but they are more afraid of you than you are of them. You haven’t met my wife! ? 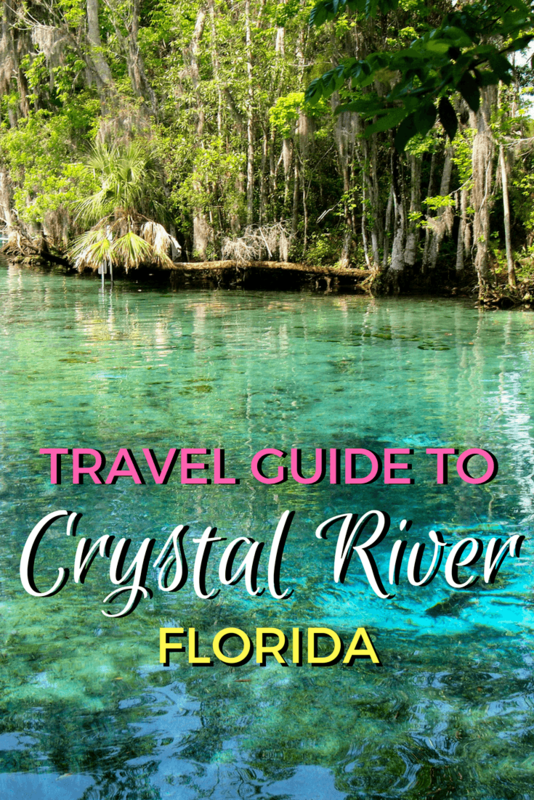 I have been fortunate to have visited Crystal River and that entire area of Florida several times in my life. You certainly had some fun while spending time there. It was interesting to learn how Homosassa Springs has changed since my last visit. Those waters certainly are crystal clear! It can be quite chilly when swimming over one of those fresh water springs. Enjoyed your blog! Nice job! Thanks, Peggy! And yes, I had a really great time there! 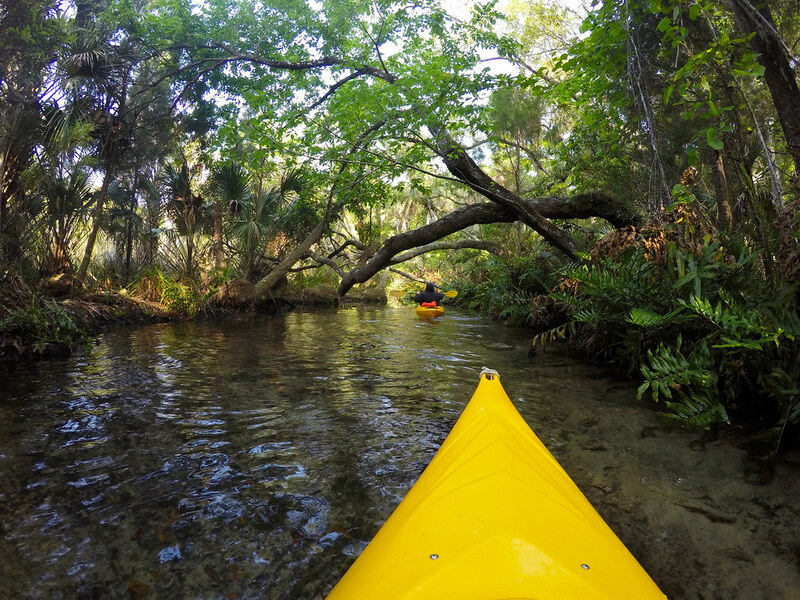 There are lots of outdoorsy things to do in and around Crystal River, FL. 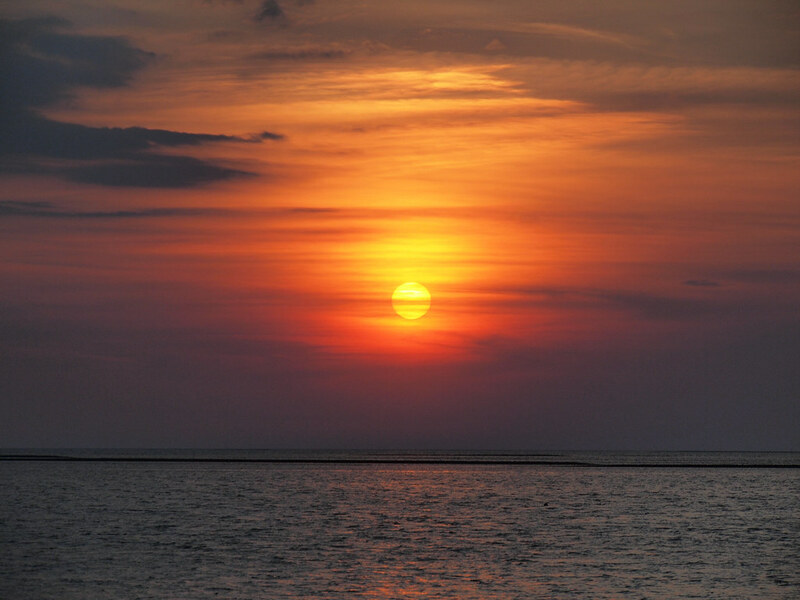 It’s called the Nature Coast for a reason! Rainbow River/Springs is a beautiful area as well. We have lakes, springs, rivers, the Gulf and a 46 mile hiking/biking trail called the Withlacoochee State Trail.